Hawaiian Airlines plans to announce an open house on Hawai‘i Island to help former Island Air workers that recently lost their job. On Oʻahu, an open house for former Island Air employees will be held by Hawaiian Airlines on Saturday, Nov. 18, 2017, to assist workers displaced by the company’s shutdown. The open house organized for Island Air employees only will be held from 9 a.m. to 1 p.m. at Hawaiian’s Honolulu headquarters at 3375 Koapaka St.
Hawaiian Airlines managers will provide former Island Air employees information about career opportunities and guide them through the application process. Hawaiian will be posting additional job openings on its recruitment website in coming days. 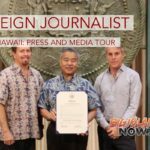 Job seekers attending the fair will also be able to meet with representatives with Ohana by Hawaiian, which is operated by Empire Airlines and offers passenger and cargo service to O‘ahu, Lāna‘i, Moloka‘i and Kapalua in West Maui. Free parking will be available on the sixth floor of the Airport Industrial Building. Check in begins at 9 a.m., followed by three, 30-minute informational sessions starting at 9:30 a.m.
Hawaiian Airlines plans to announce similar open houses for former Island Air employees on the Neighbor Islands. 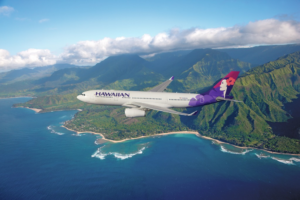 Current Hawaiian Airlines job openings may be viewed online. Hawaiian Airlines began offering travel assistance for Island Air passengers holding a confirmed ticket for flights scheduled Saturday through Friday, Nov. 11 and 17, 2017, to/from/via Honolulu, Oʻahu (HNL); Kahului, Maui (OGG); Kona, Hawai‘i Island (KOA); and Līhu‘e, Kaua‘i (LIH). 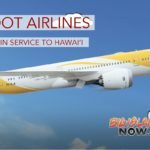 Those passengers can standby for Coach Class seating on Hawaiian’s regularly scheduled flights between the same origin and destination cities on the ticketed day of departure. For Island Air guests who require a confirmed travel itinerary, Hawaiian is offering a special $71 one-way fare, inclusive of taxes and fees. This fare is available to Island Air customers holding tickets for flights between Saturday and Friday, Nov. 11 and Nov. 17, and applies to roundtrip tickets that include a return segment outside the seven-day window. Customers can book this discounted fare by visiting Hawaiian’s help desk at the airport or by calling the reservations department at (800) 367-5320 and providing their Island Air ticket number. More information about the travel assistance program for Island Air customers can be found online.